The ParaPod is a Chortle Awards nominated podcast, now in its third series featuring comedians Ian Boldsworth and Barry Dodds. 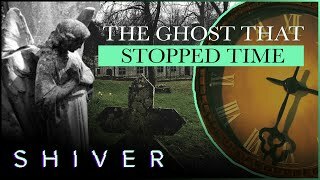 In series one Barry tried to convince Ian that some of the most famous ghost stories of all time were true. While in series two the pair debate mysteries such as Big Foot. In the latest season Ian and Barry are back and this time tackling conspiracies. Barry Dodds and Ian Boldsworth return for a one-off, special edition of the ParaPod in which Barry introduces us to the world's creepiest doll, but can he convince Ian it's haunted? Can you answer these questions based around Barry Dodd's paranoia and gullible belief in some of the conspiracy theories from the third series of The ParaPod. Fans of The ParaPod got their first look at the teaser trailer for the upcoming movie starring Ian Boldsworth and Barry Dodds, but what secrets does the 30 second video clip hold? Can you answer these mysterious questions based around Barry Dodd's tales of the most famous mysteries of all time from the second series of The ParaPod? 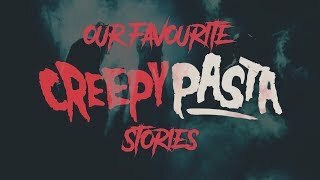 Can you answer these spooky questions based around Barry Dodd's love of the paranormal and his tales of the most famous haunting cases of all time? Having produced three successful series of the podcast, skeptic Ian Boldsworth and Barry Dodds are now taking their winning format of supernatural debate to the medium of film. Get the latest news and behind the scenes gossip from the movie shoot. Having previously tackled ghosts and mysteries, The ParaPod returned in 2017 for its third series, this time covering some of the best known conspiracy theories that have fuelled discussion on some of the darkest internet forums over the years. The Mandela Effect is a term coined to represent a common, collective false memory, something that large numbers of people incorrectly recall such as movie quotes, events or even the date of a South African president's death. Have you ever been to Finland? If you have, then think again because it turns out Finland may not actually exist and in this week's The ParaPod, Barry ended his "conspiracy coach tour" with a trip to the non-existent country. In this week's The ParaPod there's a reversal of roles as Ian shares a wild conspiracy theory about the death of President John F Kennedy, but will Barry be taken in by his claims? In the 1970s a series of reports of supposed supernatural activity at Highgate Cemetery in London made national press. In episode six of The ParaPod Barry and Ian debated whether claims of the Highgate Vampire were real. This week Barry has taken to the internet, based on a suggestion he got on the internet to research the strange claims of a joint human and alien underground facility known as Dulce Base in New Mexico. The chemtrail conspiracy theory is a long-running belief that the world's governments are pumping chemicals into our skies through the exhausts of planes but is there any evidence to back up these wild claims? We've all heard the stories that Elvis is still alive and that Bruce Lee faked his own death so he could go undercover for the Hong Kong police. In this week's ParaPod Barry and Ian aren't questioning whether someone faked their own death, they're questioning whether Paul McCartney is actually already dead. In the second episode of 'The ParaPod: Conspiracies' Barry and Ian ponder the existence of one of the most infamous secret societies in the world, The Illuminati. The moon landing hoax is one of the most famous and most discussed conspiracy theories of all time, despite the fact it's ridiculous it actually has quite a lot of people/idiots convinced that the 1969 moon landing was faked by the American government.